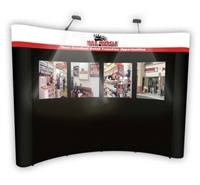 Our Pop Up Displays are the most convenient portable displays on the market. 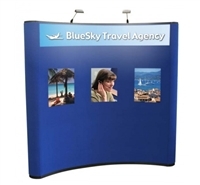 These units are an excellent choice for nearly all trade shows and conventions, as they are lightweight, portable and easy to assemble. 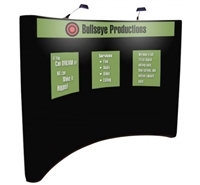 They are especially vital in a competitive environment, where a smaller tabletop or banner stand just won't draw attention. 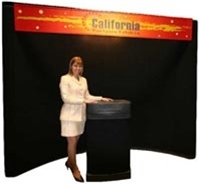 Our stands readily accept large graphic panels, are easily shipped and transported, and can be assembled in less that 20 minutes by just one person. 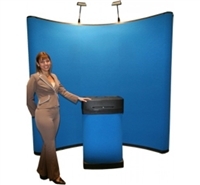 We can make custom graphics for you, and you can choose from over 50 fabric colors. 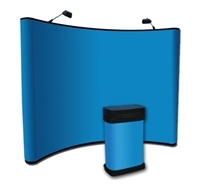 Versatility: Owing to its compact and portable feature, mounting it on counter tops, on the floor and even in unused areas in the booth becomes easy. 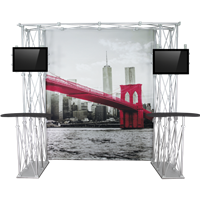 Affordability: Are usually much more affordable than modular and truss displays, yet they can be made to look higher-end by the skilled use of graphics. 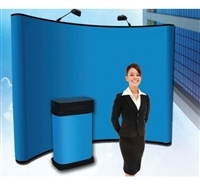 This makes them perfect for any marketing budget. 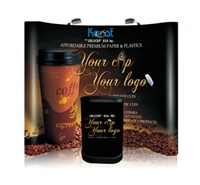 Durability: Our Pop-ups are built to last. 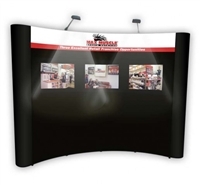 Learn about our nearly unbreakable telescoping channel bars. 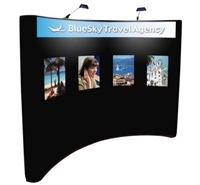 Easy shipping: Compared to other types of units, shipping our ultra-portable pop-ups is inexpensive and easy. 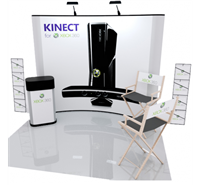 Easy set up: Sets up in minutes. 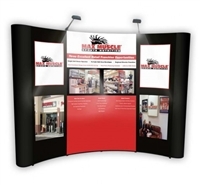 You don’t want to spend hours setting up your booth while the Trade Show has already begun! 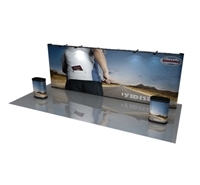 One caveat: If you need a bolder statement than a Pop up can deliver, you might want to consider the possibility of choosing a modular display instead.